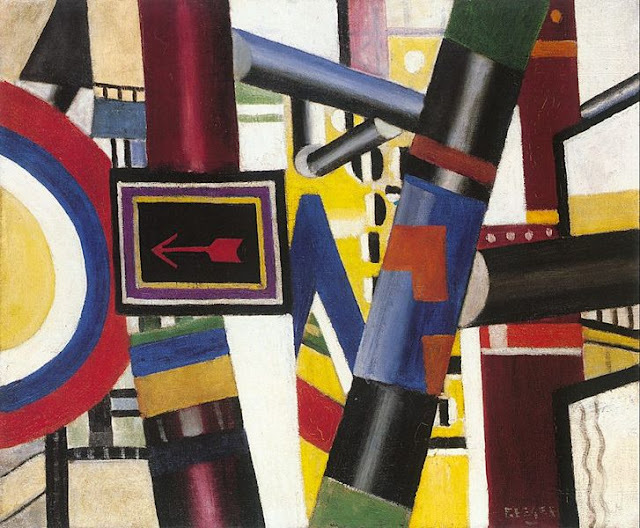 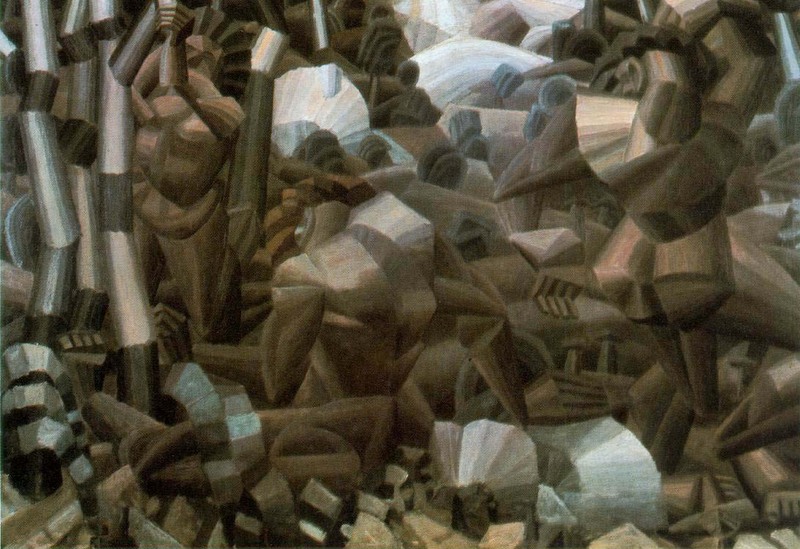 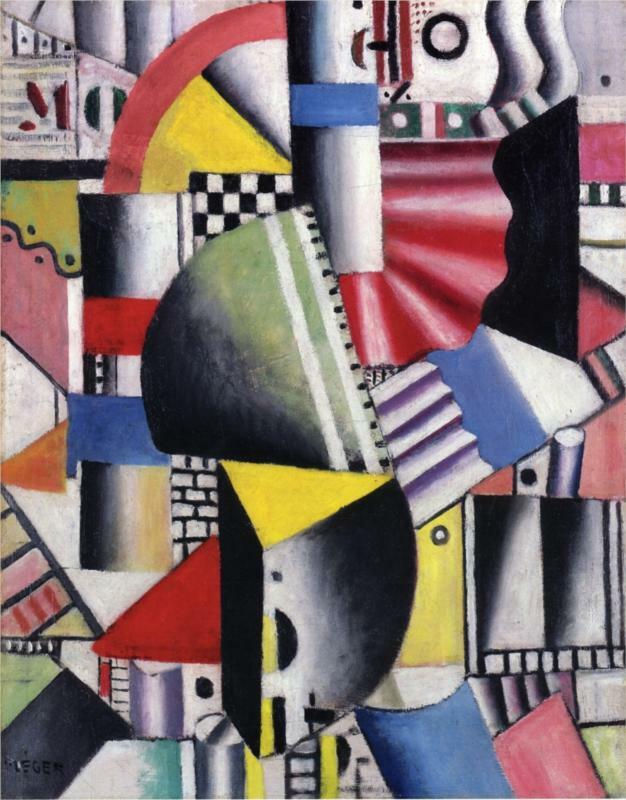 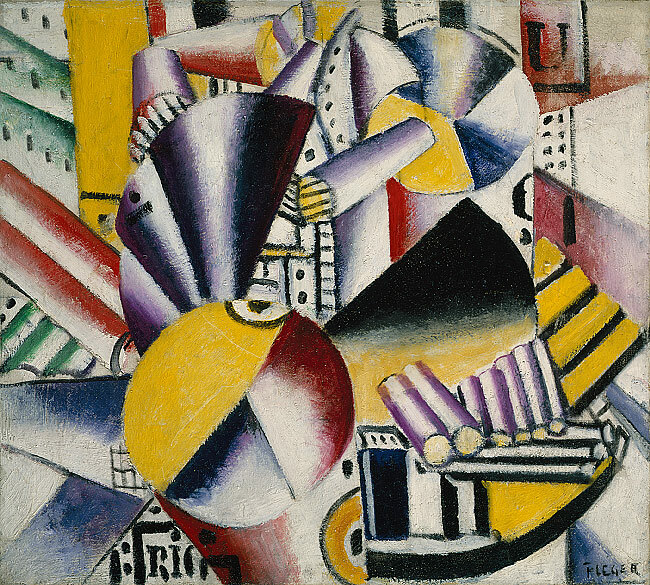 I think Fernand Léger was a bit of a genius – the style he became known for is unique and instantly recognisable. 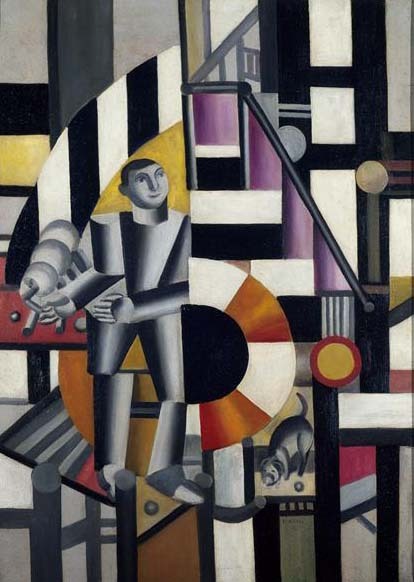 I’m actually putting up a 5-part post on his work – parts 1-3 looking at his canvases, parts 3-4 the ‘Cirque’ lithographic portfolio. 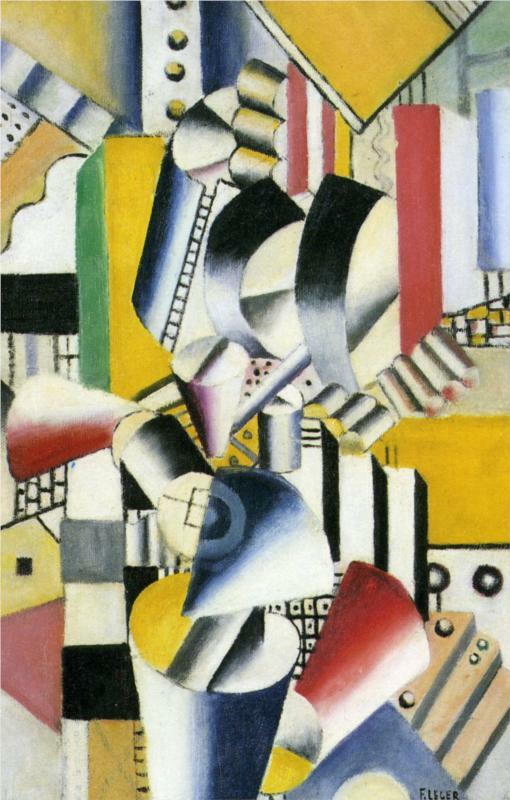 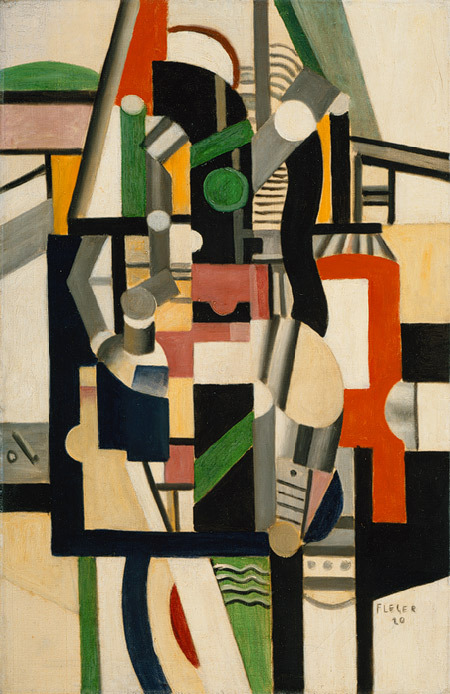 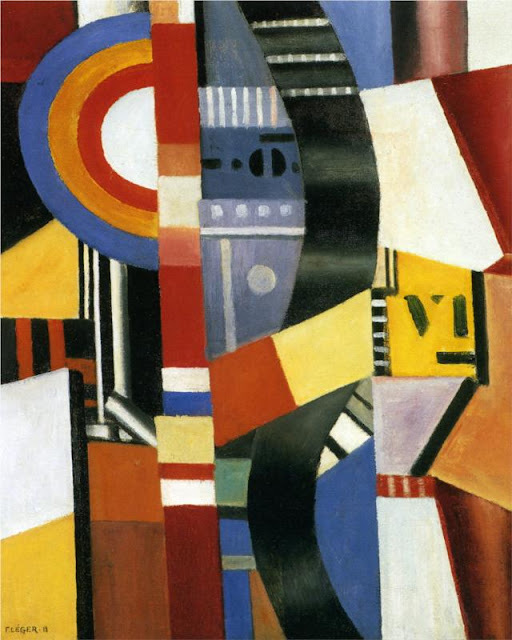 Fernand Léger (1881 – 1955) was born in 1881 in Argentan, France. After an apprenticeship with an architect in Caen between 1897 to 1899, Léger settled in Paris in 1900 and supported himself as an architectural draftsman. 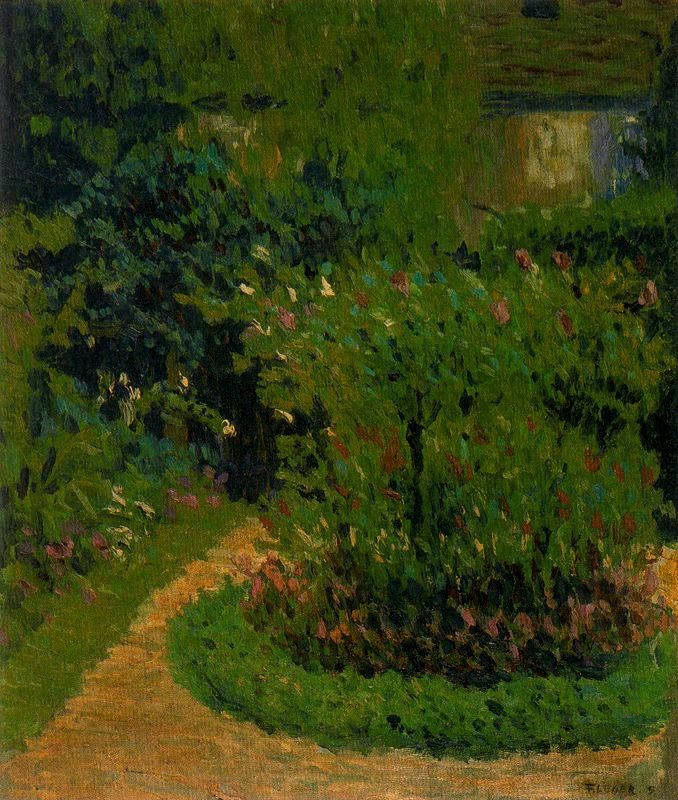 He was refused entrance to the École des Beaux-Arts but nevertheless attended classes there beginning in 1903; he also studied at the Académie Julian. 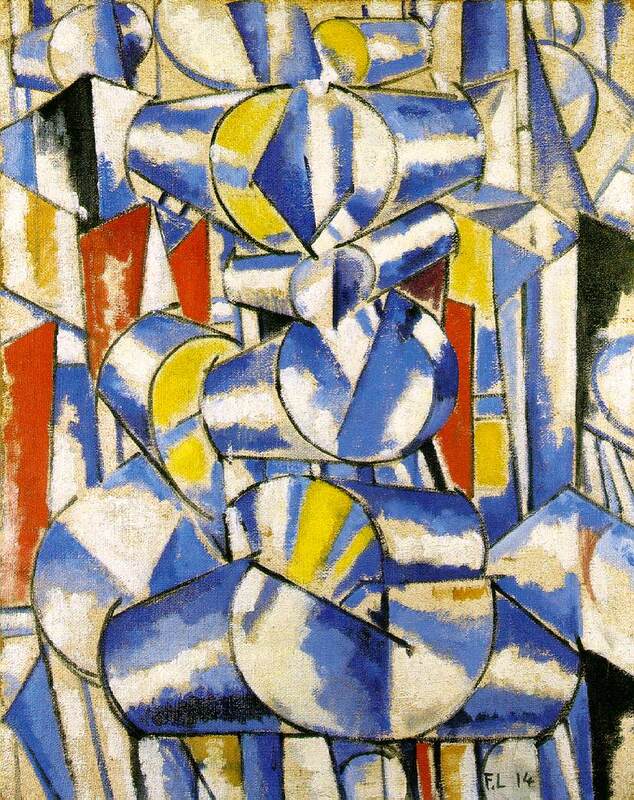 Léger’s earliest-known works, which date from 1905, were primarily influenced by Impressionism. 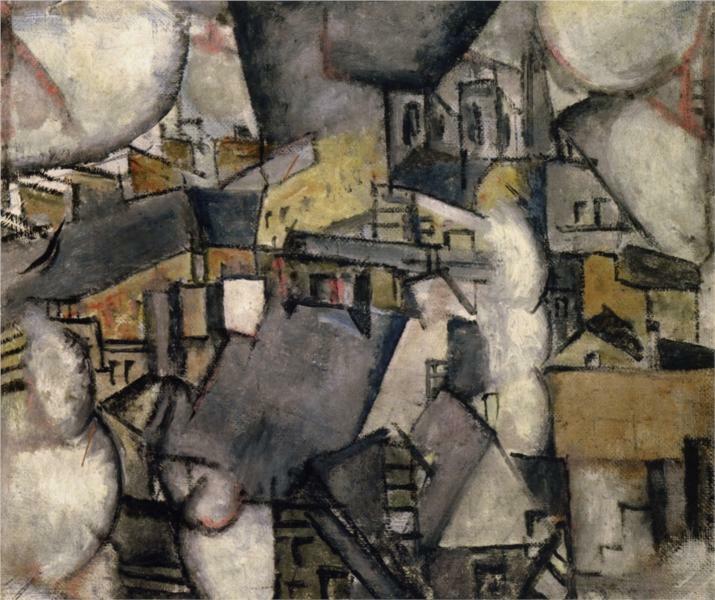 The experience of seeing the Paul Cézanne retrospective at the Salon d’Automne in 1907 and his contact with the early Cubism of Pablo Picasso and Georges Braque had an extremely significant impact on the development of his personal style. 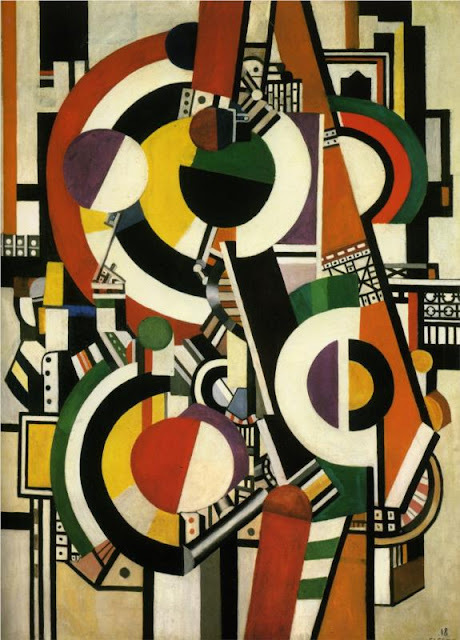 From 1911 to 1914 Léger’s work became increasingly abstract, and he started to limit his colour to the primaries and black and white. In 1912 he was given his first solo show at Galerie Kahnweiler, Paris. 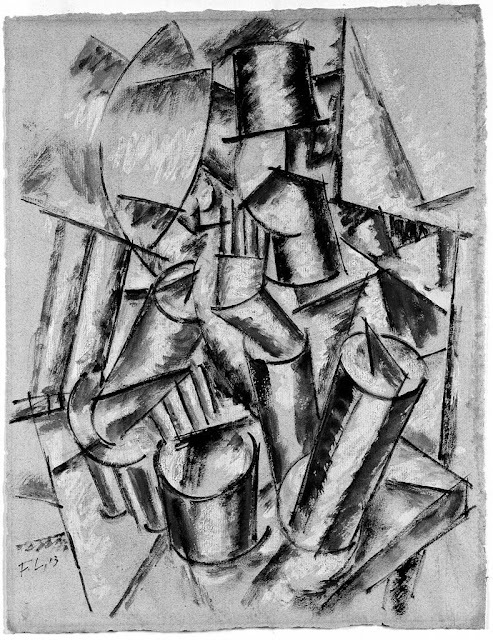 Léger served in the military from 1914 to 1917. 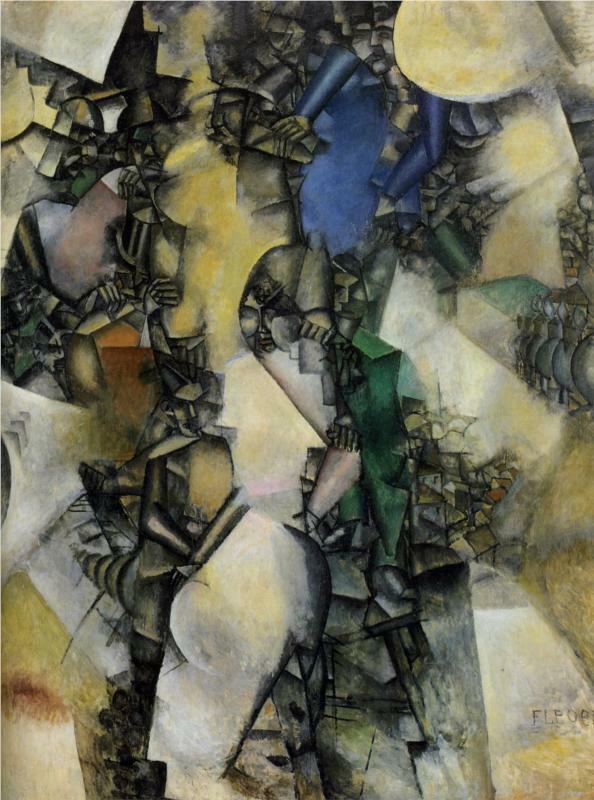 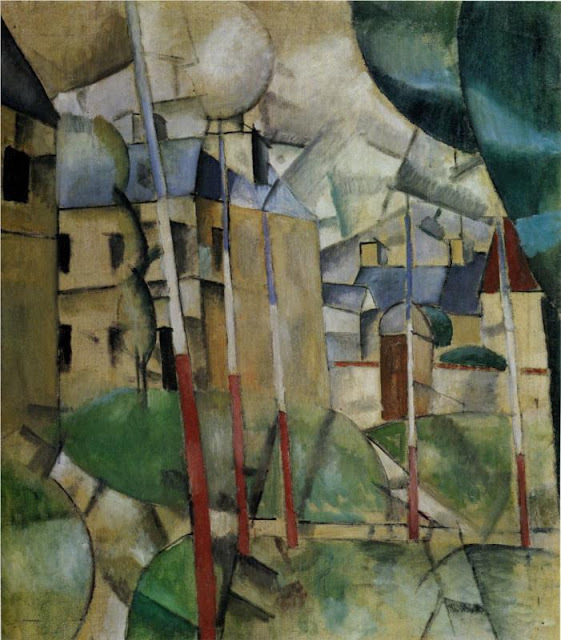 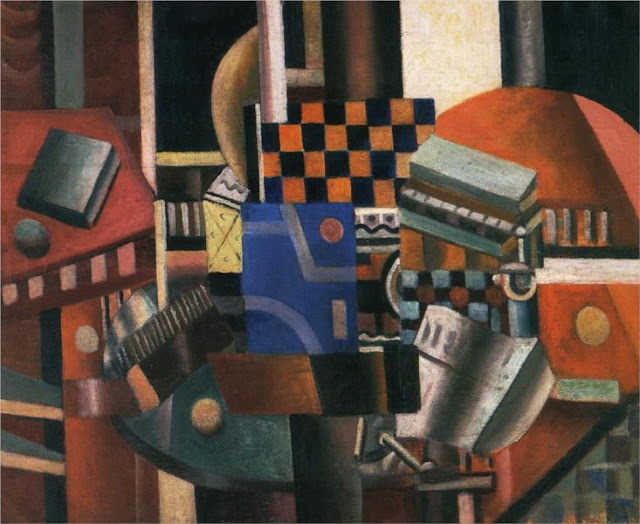 His “mechanical” period, in which figures and objects are characterised by tubular, machinelike forms, began in 1917. During the early 1920s he collaborated with the writer Blaise Cendrars on films and designed sets and costumes for performances by Rolf de Maré’s Ballets Suédois; in 1924 he completed his first film, Ballet mécanique, which was neither abstract nor narrative but a series of seemingly unrelated images (a woman’s teeth and lips, machines, ordinary objects, and routine human activities). 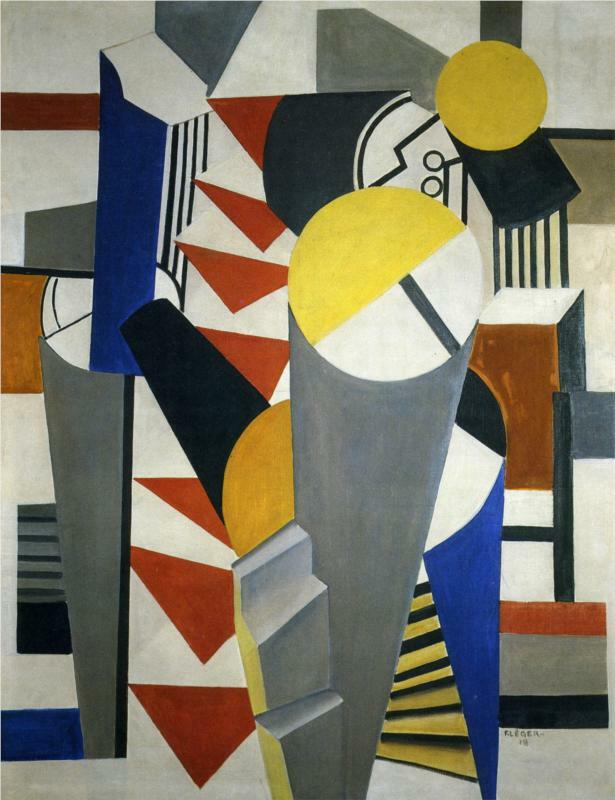 Léger opened an atelier with Amédée Ozenfant in 1924 and in 1925 presented his first murals at Le Corbusier’s Pavillon de l’Esprit Nouveau at the Exposition internationale des arts décoratifs. 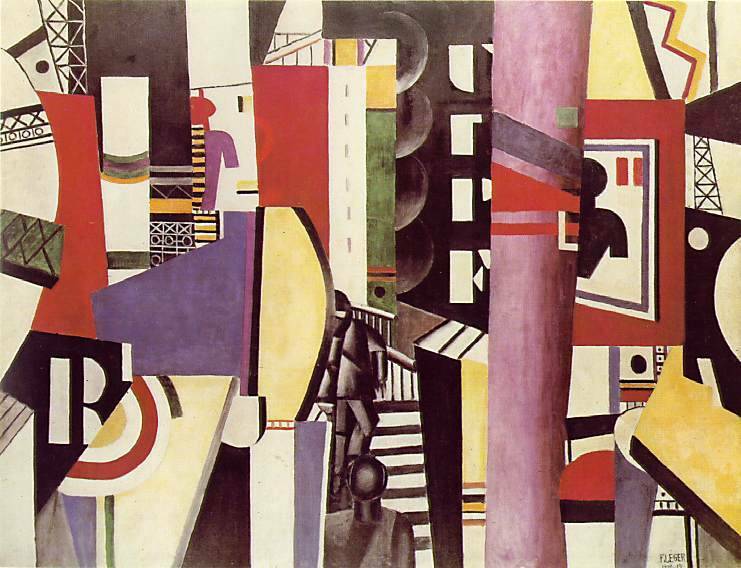 In 1931 he visited the United States for the first time. 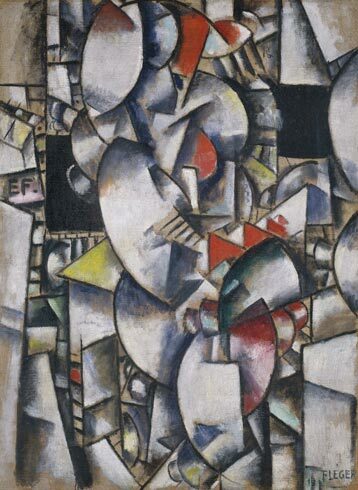 In 1935 the Museum of Modern Art, New York, and the Art Institute of Chicago presented an exhibition of his work. 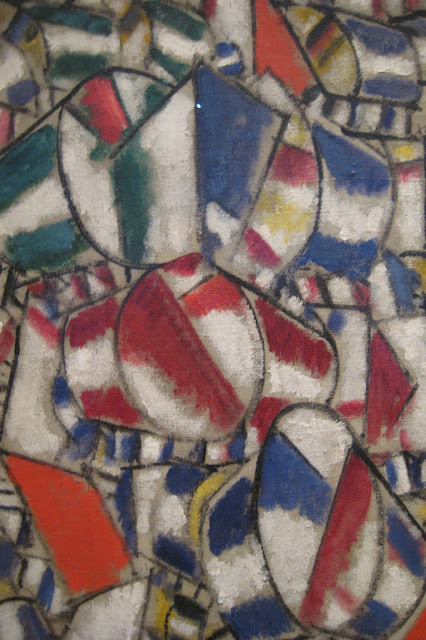 Léger lived in the United States from 1940 to 1945 but returned to France after the war. In the decade before his death, Léger’s wide-ranging projects included book illustrations, monumental figure paintings and murals, stained-glass windows, mosaics, polychrome ceramic sculptures, and set and costume designs. In 1955 he won the Grand Prize at the São Paulo Bienal. 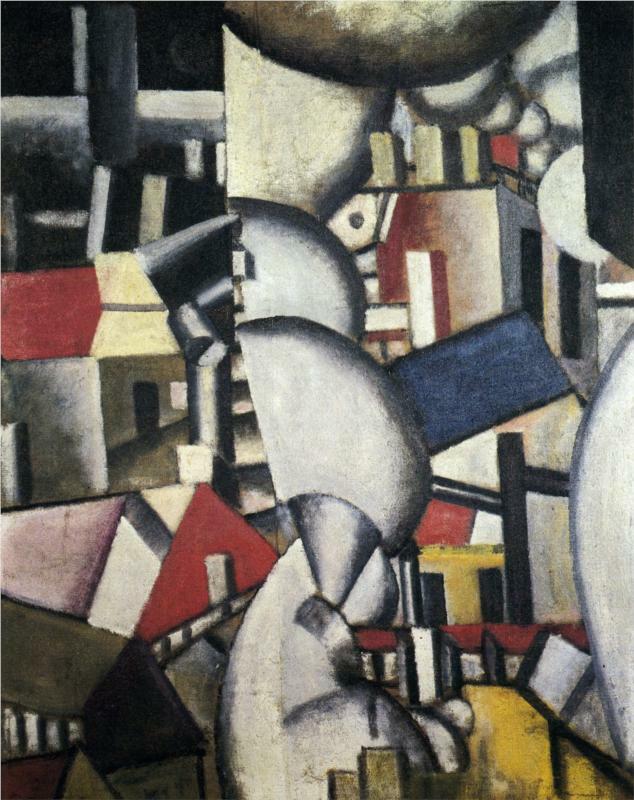 Léger died on August 17 of that year at his home in Gif-sur-Yvette, France. The Musée Fernand Léger was inaugurated in 1960 in Biot, France.